David Musgrave is Managing Director of his own development and consulting business. Based in the suburb of Winthrop in Perth, Western Australia, Winthrop Development Consultants offers a range of Microsoft Dynamics GP add-on products as well as development, consulting and training services to the ISVs, partners and customers of the Microsoft Dynamics GP community. David is known for his many products including GP Power Tools (previously the Support Debugging Tool), Visual Studio Integration Toolkit (previously Menus for Visual Studio Tools) and the Batch Posting Service Toolkit. He was also the original author of Named Printers, Omni Tools, Omni Price, Advanced Security, Field Level Security, Business Activity Statement (for Australian GST), and SnapShot. He has also made many contributions to the code of Microsoft Dynamics GP. David has presented many popular sessions at customer and partner conferences and delivered training around the world. 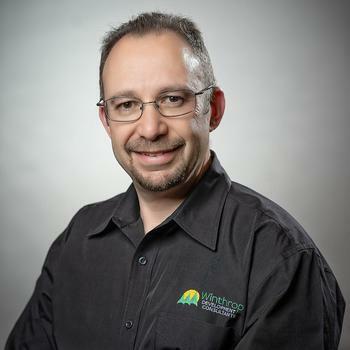 He is active in the Microsoft Dynamics GP community and has contributed to the partner, community and user group forums as well as his Developing for Dynamics GP and Winthrop Development Consultants blogs. He has been recognized with both Microsoft MVP and GPUG All Star status. Outside of work David enjoys spending time with his family, cycling, DJing for parties, robotics, technology and gadgets (not necessarily in that order). For more information see the Winthrop Development Consultants website. It was just officially announced. YAHOO. Looking forward to working with you. And diving into the new advanced features of Power Tools.